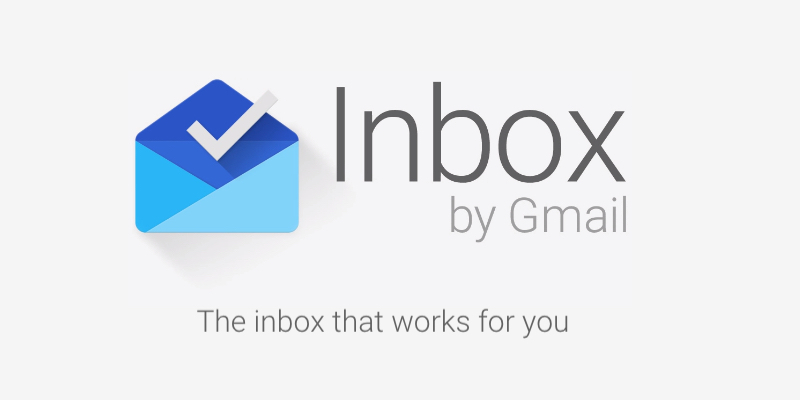 About 2 weeks ago I received an invite to Google Inbox and since then I am thrilled how awesome emailing can be. In this post I want to show you the features that I like most (each of the 23 points is also documented in a screenshot). Pin: This flag can be used to mark important emails. Snooze: This is especially useful for people like me who see emails as tasks and need to be reminded. E.g. if you get an email about an invitation but you are still in the office, you can snooze an email to remind you later that you still need to reply. 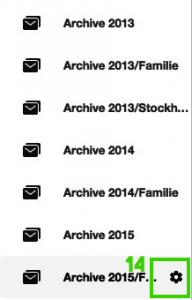 Done: Also very useful for people like me who like to keep their emails in the inbox until they are “finished”, e.g. until an ordered item arrived, a conversation is finished and so on. These mails are either moved only to the “done” bundle or also to customised bundles, which I will explain a little bit further below. 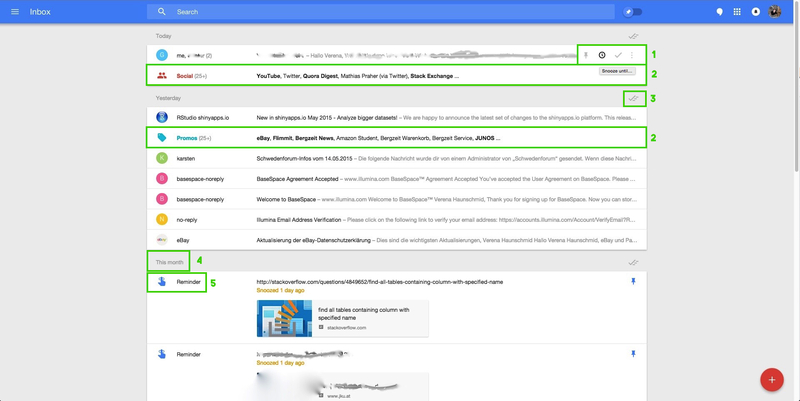 In my new inbox there are bundles for “Social” emails (like YouTube, Twitter, Quora Digest, …) and “Promos” emails (like eBay, Bergzeit News, Amazon, …). I probably have these because in the normal gmail I had both of them as tabs, but I did not have “Forums” and “Updates”, otherwise I assume these mails would also be bundled in my inbox. 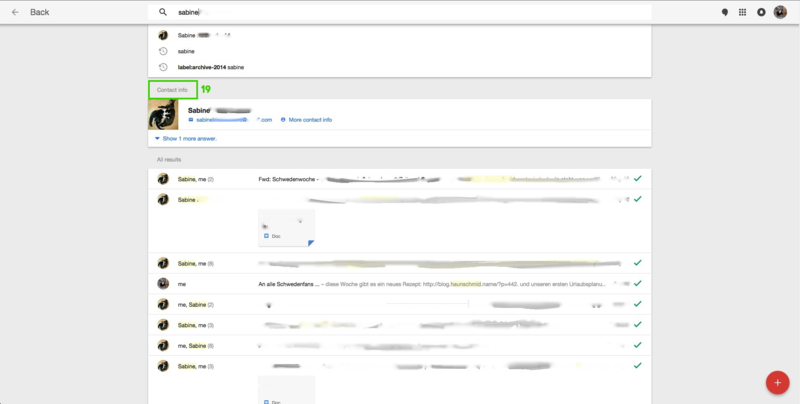 With this partition the inbox looks a lot more structured and you can see at one glance which mails are from today or yesterday. The reminder is already one of my favourite new features. I can not compare it to the old reminder / todo list thingy, because I have never used it. The new one just makes you want to use it! Figure 1. Overview of the inbox. This switch makes it possible to show only your pinned / important emails. 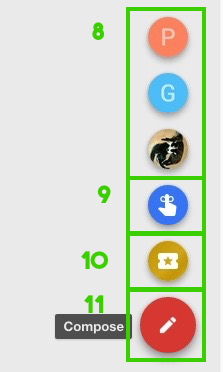 The blue pin symbols that this mail has been marked as important. 8. Your favourite 3 people only two clicks away! That feature is quite convenient, although I have to say in the iPhone app it sometimes shows different people than my three most used contacts. 9. Write yourself a reminder. Amazing! Replaces the “Compose” button from the old gmail. 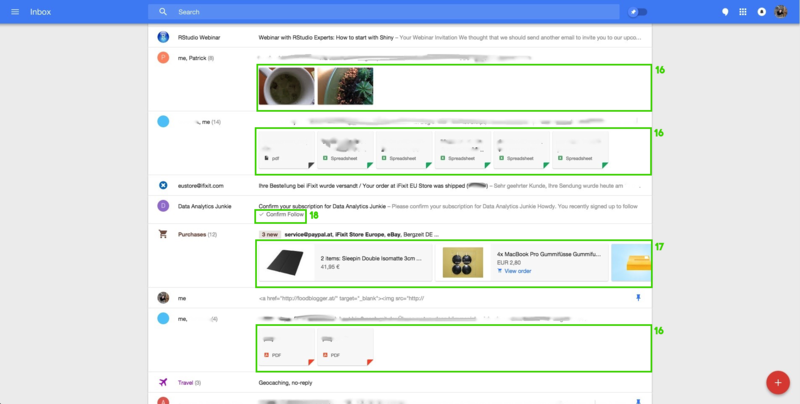 Switch between inbox (although the pin is misleading – it also contains unpinned mails), snoozed mails (best feature ever) and “done” emails. Now comes the part that can really increase your productivity. Additional to the predefined bundles – Travel, Purchases, Finances, Social, Promos – you can define your own bundles. 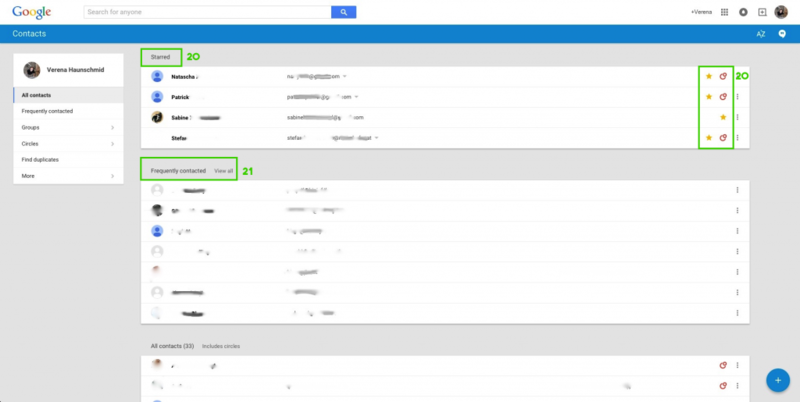 By clicking the gear wheel you can use your existing folders (that you may have created in gmail to organise old mails) and add rules to create your customised bundles (details below). 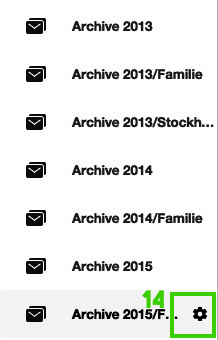 But you can also use them like before and move mails manually to the correct folder to archive it (but that is boring and totally missing the point). Figure 5. Gear wheel for bundle options. You can not only add contacts that should be bundled, but also filter incoming mails by subject and add words that it contains / must not contain to be considered for this bundle. Now everytime you mark such an email as done it is correctly moved to this bundle (after setting it up it took a few minutes before it worked)! Figure 6. Add bundle rules. 16. Remember the times when you had to scroll down a complete conversation to get to the attachments? These times are over! 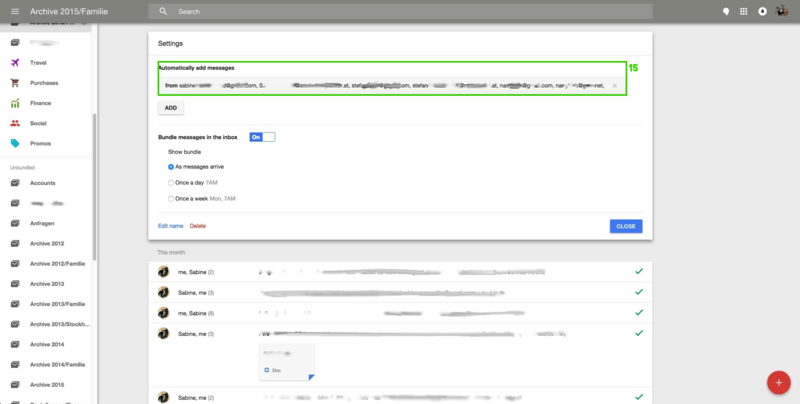 Inbox shows you the previous attachments (both sent and received) and the download is just one click away. 17. All your past purchases at one glance. 18. You do not even have to open an email anymore to click a confirmation link. Google recognises most of them itself. Figure 7. Nice new features. 19. Not new, but shinier! Now the search does not only show you matching emails, but also the contact information in case it matches your search. Contacts can easily be starred and google+ (in case anyone uses that) circles are shown. Cool for android users: If you sync your contacts, they are also favourited on your phone! I have no idea what’s behind that algorithm, but it definitely does not show my frequently contacted people. It shows some people I contacted once and some people I am not sure I contacted. Not even google is perfect. Cool feature to merge duplicate contacts. I can not show you how it looks because that was one of the first things I did and now I (un)fortunately do not have any duplicate contacts. I have only tried it in the old gmail, but that feature can save, well, not lives, but it can save your contacts. Just give the date when you lost your contacts (e.g. someone hacked into your account and deleted them) and they are restored immediately. Magic! Figure 10. Contacts left panel.